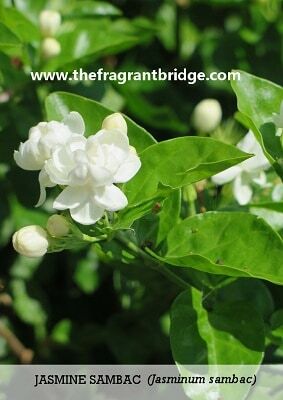 Jasmine has a heady perfume loved by many especially the perfumers of France. She also has a long history of use in India. Colour: Dark orange but becomes a more reddish brown due to age and oxidization. Plant: Jasminum grandiflorum is a semi evergreen deciduous vine with masses of fragrant single white flowers that bloom from spring to autumn. Jasminum sambac is an evergreen shrub that can reach up to 5 feet in height in a pot but when grown in shade is more like a vine. Major Constituents: Benzyl benzoate, benzyl acetate, linalool (higher in j.sambac), benzyl alcohol, cis-jasmone, indole, eugenol, alpha-farnesene (higher in j.sambac) and methyl jasmonate. Unfortunately due to its high cost jasmine is often adulterated with benzyl acetate and benzyl benzoate. Note: Pure jasmine essential oil is expensive but it is possible to buy her diluted 3 or 5% in jojoba or other carrier oils. I prefer her in jojoba as jojoba being a wax and not an oil does not go rancid over time. This allows you to experience the properties of jasmine without the expense. It takes 8 million blossoms to produce one kilo of absolute with an experienced picker able to pick between 10,000 and 15,000 blossoms a night. 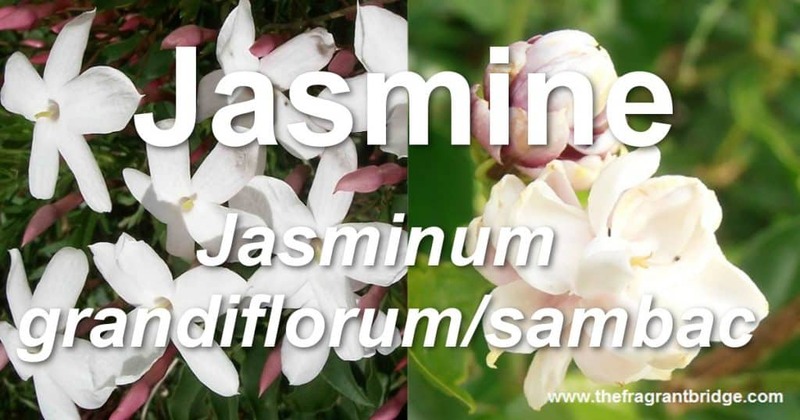 In India, Jasmine is mixed with sandalwood oil creating an attar of jasmine. 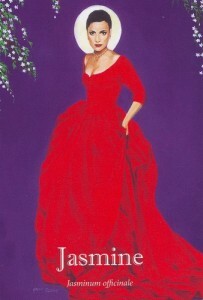 The perfume Joy by Jean Patou has pure jasmine among its ingredients. Part of Plant used /Extraction: Flower. 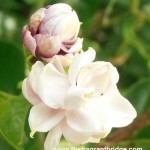 In the past jasmine essential oil was obtained through enfleurage. Today most jasmine absolute is obtained in a process whereby solvents such as hexane, pentane, petroleum and ether are used to remove the volatile and non-volatile substances from the flowers before being heated to boil off the solvents producing the concrete. Next the concrete is slowly warmed with alcohol to melting point allowing the essential oil, waxes and fixed oils to dissolve in the alcohol which is than cooled, filtered and distilled to remove all the traces of the alcohol resulting in what is called the absolute. 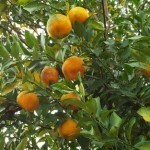 To give the highest yield the process must begin as soon as possible after picking. 1000 kg of jasmine blossoms will produce between 2.6 and 2.8 kg of concrete which will then yield between 1.5 and 1.7 kg of absolute. 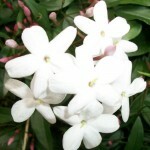 Valerie Ann Worwood writes that it has been said that jasmine has the ability to call the angelic realms close, and to be able to transmit our soul’s joy and love to the universe, if the intent and purpose is carried from a clear and pure heart. Susanne Fischer Rizzi writes that jasmine penetrates and diminishes fear, not only lightening your mood but it brings euphoria to darkness. It helps to recapture self-confidence and defeat pessimism. Robbi Zeck advises that when you are faced with seemingly unresolvable emotional challenges and feeling fearful, that Jasmine will dissolve those fears and build trust. She writes to sit with your fears and concerns, taking breath after breath and wait in the stillness for an answer. Prayer and deep faith will open you to trusting yourself, blessing the present and expecting the best. Gabriel Mojay writes that whenever fear and vulnerability, or anxiety and depression, cut us from our ability to share physical pleasure and affection, jasmine oil can support, reassure and delight. Stop living in the past and enjoy what life is giving you now. Stay present and regain your raw passion for everything in life. Stop worrying what happened yesterday or what is coming tomorrow, simply be and really enjoy what life is about. Release feelings of depression, fear and vulnerability and move to that place where you trust and feel supported. Live and Do what you really want to do. Are you feeling stressed, angry, depressed or just plain exhausted mentally and physically? Are you living your life according to the values of others and wondering who you really are? Do you lack confidence in your ability to create and bring joy to yourself and others? It’s time to live, love, create and laugh again on your own terms. Nurture your passions and yourself. Reawaken those feelings that have long been forgotten or repressed. Begin to create the life you want. Find those who will support you in your creative endeavours and feel the passion and excitement racing through you again. 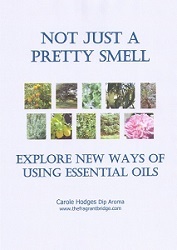 This entry was posted in Essential Oils and tagged anxiety, creativity, fear, jasmine, jasminum grandiflorum, jasminum sambac, passion, vulnerability on February 17, 2016 by Carole Hodges. The heart or 4th chakra is the centre of of love, affection, compassion, acceptance, optimism, joy, generosity, empathy, kindness, trust and forgiveness for yourself and others. When out of balance you may feel depressed, anxious, jealous, lonely, deep sorrow and grief, isolated, bitter and insensitive. You may lack trust, compassion, self-respect and self-love, fear intimate relationships, be unable to forgive yourself or others, have unhealthy relationships where you are unable to love, love too much, lack boundaries or are a people pleaser. Some questions to consider and perhaps journal about. Do you always put others first? Are you able to express your true emotions? Do you find it difficult to connect with others? Do you believe you are worthy of love and being loved? How do you show your love to those around you? Do you find it easy or difficult to forgive others who have hurt you? How often do you allow yourself to feel vulnerable? Bergamot (Citrus bergamia) helps release pent up anger and frustration that can lead to depression when you feel unsupported or insecure. Cinnamon (Cinnamomum zeylanicum) is useful if you have isolated yourself emotionally from others. Cypress (Cupressus sempervirens) eases feelings of loss particularly of a person and enhances feelings of compassion. Elemi (Canarium luzonicum) is very calming, centring and grounding, offering support and strength when you need to reconnect with yourself and others. 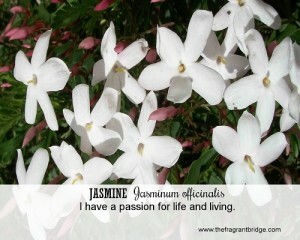 Jasmine (Jasminum grandiflorum) relieves emotional pain and promotes trust and unconditional love. 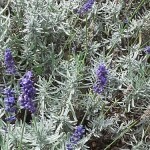 Lavender (Lavendula officinalis) helps to ease frustration and irritability, nurtures you and allows you to forgive yourself for neglecting yourself and others in the past. 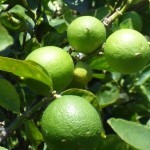 Lime (Citrus aurantifolia) eases feelings of agitation, turmoil and stress calming you down and allowing you to explore your emotions and deal with challenging situations calmly. Palmarosa (Cymbopogon martini) can help if you have a tendency to be clinging, possessive or jealous and find it hard to let go of loved ones. She can also ease feelings of betrayal and allow you to forgive the betrayer and yourself for being betrayed. Ylang Ylang (Cananga odorata var. genuina) eases the fear of intimacy, especially if you experienced rejection in the past and calms jealousy by helping you to feel more lovable. 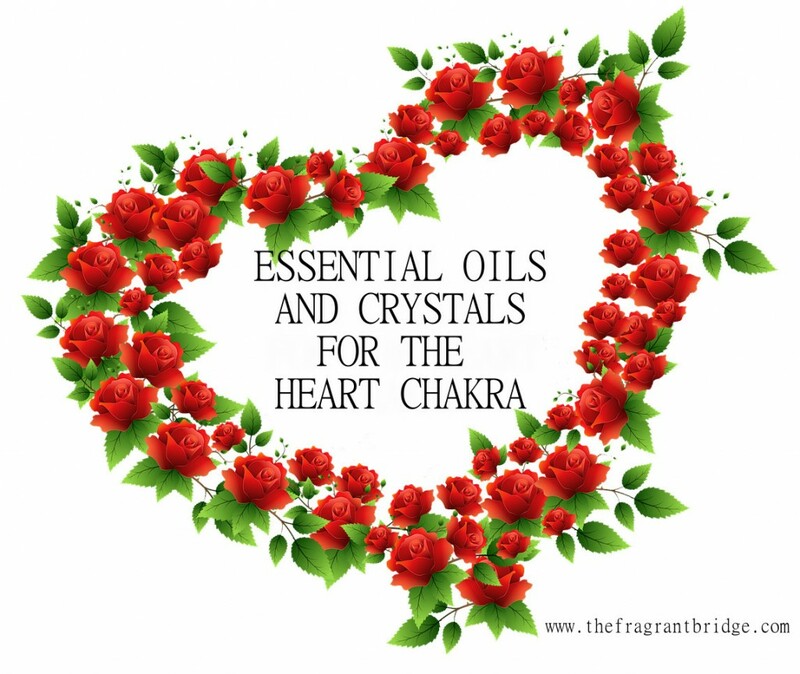 Anoint the heart area with a few drops of the blend in a heart-shaped movement with your fingertips. Use your intention to open, balance, heal and then close the chakra. 6 Green and pink crystals that may be used to balance the heart chakra. 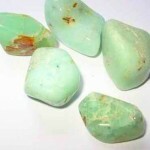 Amazonite allows you to express your heart and truth through your voice, set boundaries and to overcome your fear of conflict. 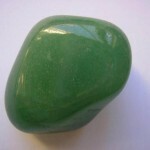 Chrysoprase helps you feel and express love as well as releasing attachment to fear based emotions and belief systems. She can also help you heal from abuse. 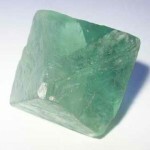 Green fluorite dissipates emotional trauma, cleanses and heals the heart chakra and ensures that the mind and heart are in agreement. 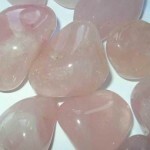 Kunzite helps open your heart to love in all its forms and encourages you to release your fears and enjoy life. 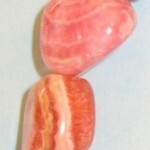 Rhodochrosite is helpful for healing deep emotional trauma that has left you unable to feel joy or express your creativity. 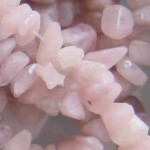 Rose quartz helps release, worry, fear, anxiety and past emotional trauma. This entry was posted in Essential Oils and tagged bergamot, chakra anointing blend, cinnamon, crystals, cypress, heart chakra, jasmine, lavender on February 9, 2016 by Carole Hodges. 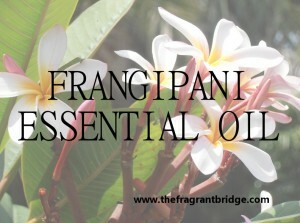 Frangipani is a beautiful oil to have in an angelic or perfume blend. Synonyms: White frangipani, caterpillar tree. Plant: This large evergreen shrub has narrow elongated leaves, large and strongly perfumed white flowers with a yellow centre. Main Growing Areas: South & Central America, Caribbean, Australia, India. Major Constituents: Benzyl salicylate, benzyl benzoate, 2-phenylethyl benzoate. Interesting snippets: Named in honour of Charles Plumier (1648-1704) a botanist and Franciscan Monk who travelled the world in search of plant species for medicinal use. 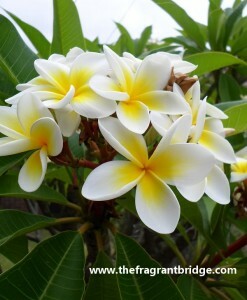 Frangipani flowers are most fragrant at night in order to lure sphinx moths to pollinate them. According to Chinese culture, a frangipani flower symbolizes love and portrayal of one’s feelings. Part of Plant used / Extraction: Flowers solvent extracted. Therapeutic actions: Use to treat bruises, warts and wounds. Emotional and Spiritual: Frangipani restores inner peace and harmony and reminds you of the beauty of your soul’s infinite journey. She can make you feel very comfortable with yourself and give inner peace, self-awareness and confidence. She represents spring and new life as well as the beginning or birth of something. 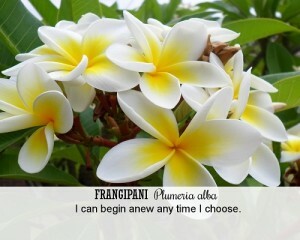 Frangipani is also excellent for people who are feeling sad, down and defeated. 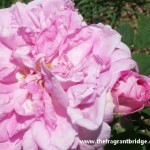 Fragrant Change Healing Card: I can begin anew any time I choose. Note: Available as both an absolute and reconstituted. 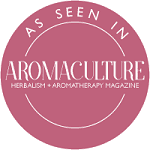 Reconstituted is a blend of the absolute with natural and nature identical ingredients although the aroma is sweeter the therapeutic value is lower. This entry was posted in Essential Oils and tagged angelic, frangipani essential oil, inner peace on February 3, 2016 by Carole Hodges.